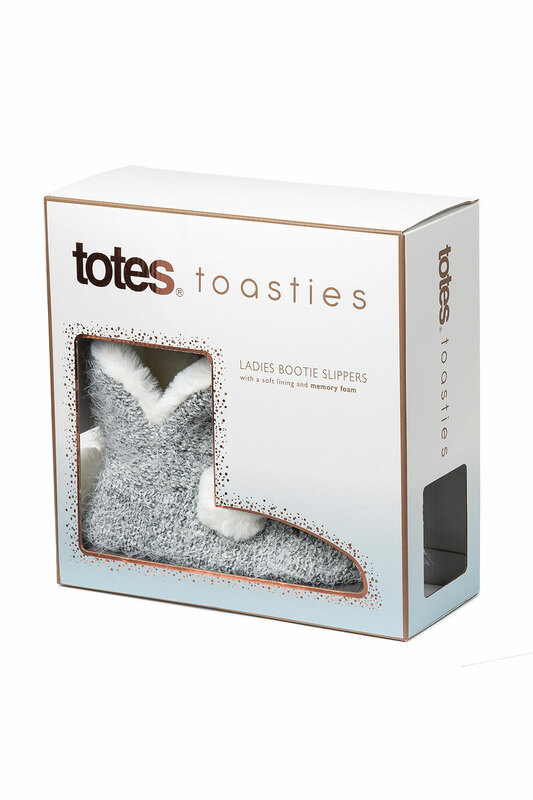 These slippers are a web exclusive pair from Toasties by Totes. 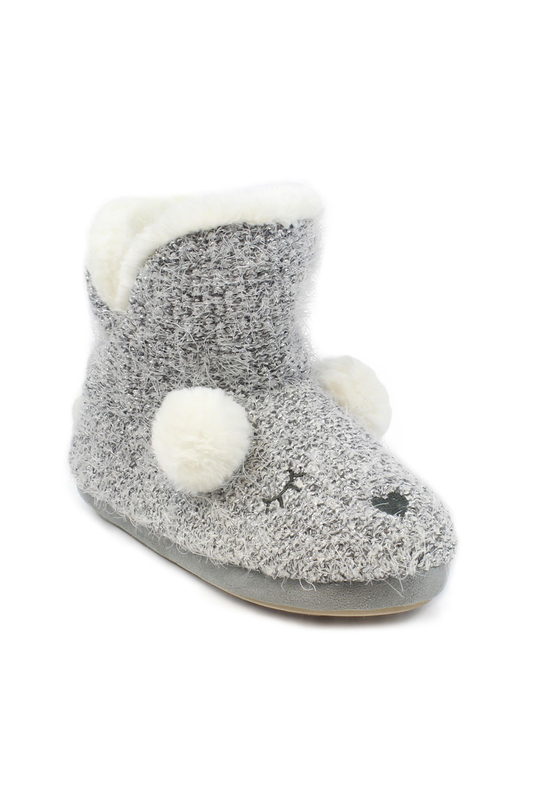 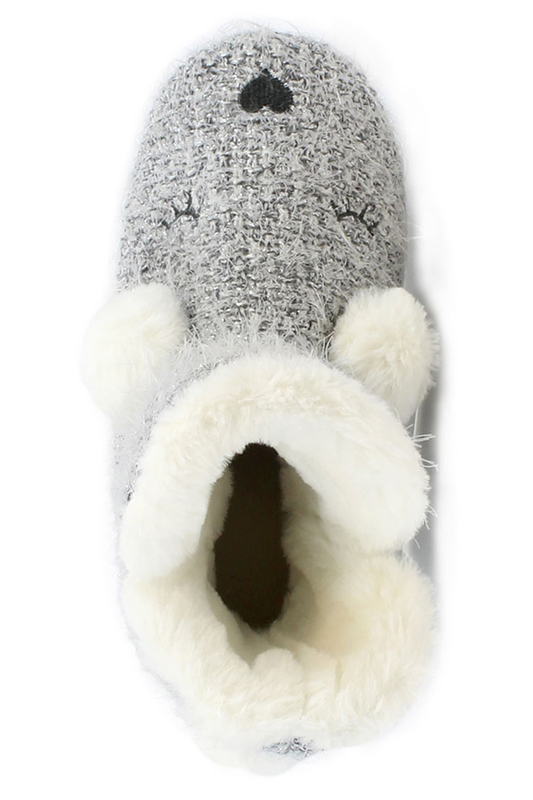 The boot shape is warm and cosy, and they feature a sweet character face and pom-pom detailing just for fun. 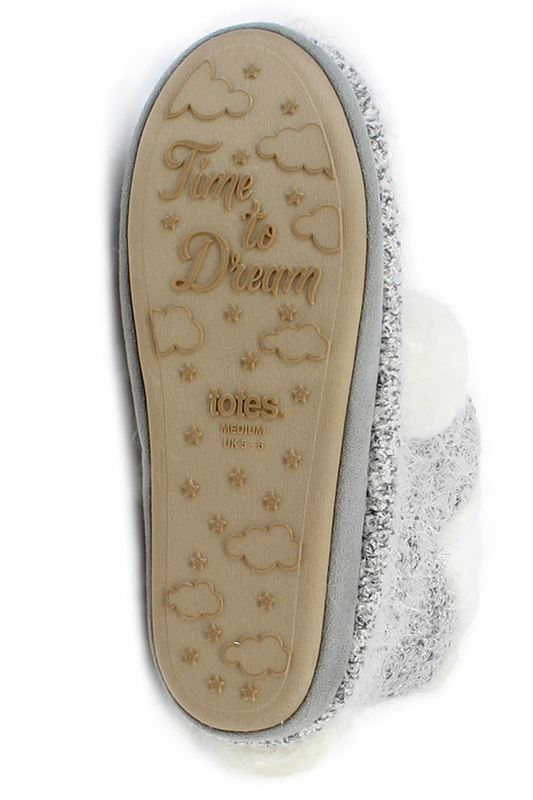 Ultra-soft memory foam soles adapt to the shape of your feet for next-level comfort and are sturdy enough to last year after year. 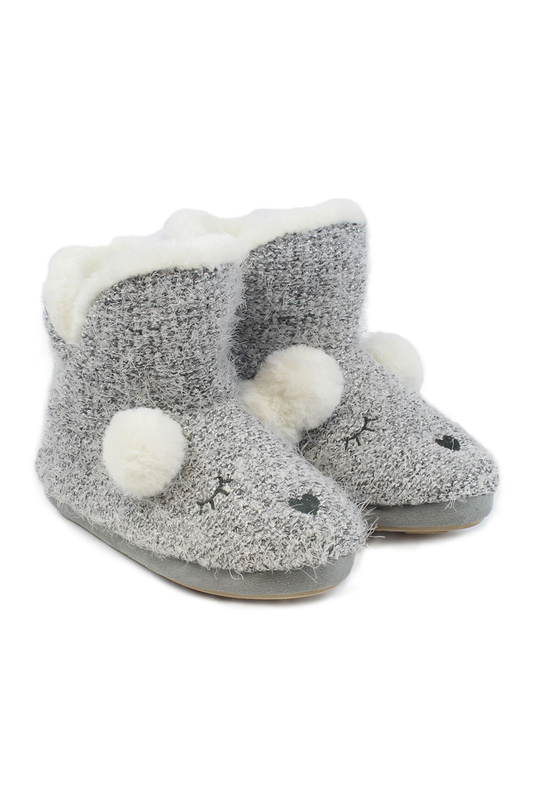 Choose a medium fit if you wear shoe sizes 5 or 6.